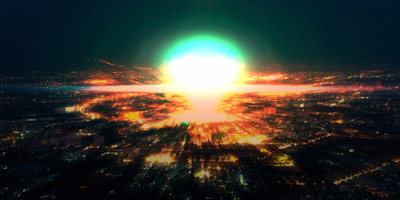 ShutterstockAn illustration of a nuclear bomb exploding in a city. Nukemap’s goal is help users understand both the horror of nuclear attacks and their potential survivability. 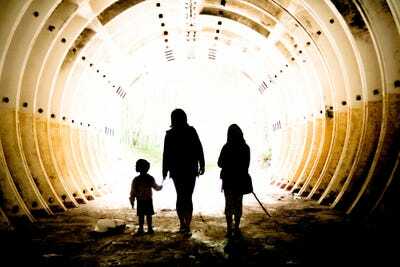 Since February 2012, people around the world have exploded more than 159 million nuclear weapons. They have set off big ones and small ones, and dropped them on Washington, Paris, Moscow, and even their own homes. But none of these nuclear explosions are real. They’re all simulated via Nukemap, an in-browser app that lets you choose a location anywhere on Earth, fiddle with a number of options, and then set off a hypothetical nuclear bomb. The program is the brainchild of Alex Wellerstein, an historian of nuclear weapons at the Stevens Institute of Technology. Using the app has a certain thrill to it – just zoom to your location and click “detonate” to see what happens. “We live in a world where nuclear weapons issues are on the front pages of our newspapers on a regular basis, yet most people still have a very bad sense of what an exploding nuclear weapon can actually do,” Wellerstein wrote on his personal website, NuclearSecrecy.org. Wellerstein has been updating his public-education project ever since, and it’s now at version 2.6. In the new version, users can more deeply explore the consequences of radioactive fallout, including if and how a person might survive the frightening phenomenon. 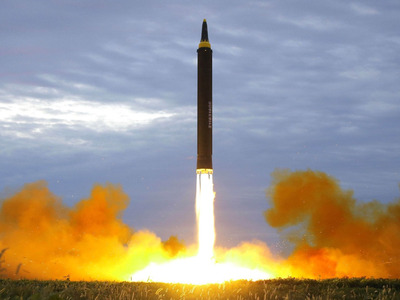 KCNA (North Korea)A test-launch of a North Korean ballistic missile. Nukemap’s software relies on declassified equations along with models of nuclear weapons and their effects – factors like fireball size, air-blast radius, radiation zones, and more. It crunches the numbers, then renders the results as graphics over an interactive map. Preset options let you pick historic and recent blasts, including North Korea’s test explosions and Tsar Bomba, the most powerful nuclear device ever detonated. The tool can even estimate fatalities and injuries for a given weapon yield, altitude, and location. 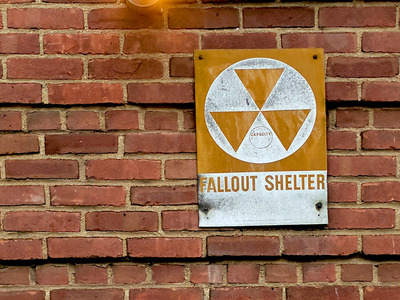 Wellerstein’s latest update debuted last week, and it offers a fascinating new option: a way to see how well someone in a radioactive fallout shelter might fare. The previous version of Nukemap could generate a cloud of radioactive fallout and show users how it might drift based on real weather conditions. Now a “probe” tool lets you explore that cloud and better estimate your chances of survival within it. Nukemap 2.6/Alex Wellerstein; MapboxThe detonation of a 150-kiloton nuclear weapon on the ground in NYC would have far-reaching consequences in terms of radioactive fallout. In this example blast, a person out in the open at Scalzi Park in Stamford, Connecticut, might get 116 rads of radiation exposure over five hours. Nukemap describes this as “sickness inducing,” since it’d be enough to weaken the body’s immune system (among other effects). Meanwhile, if that Connecticut resident were to huddle in the basement of a nearby three-story brick building for 72 hours, they’d see only 8 rads – roughly equivalent to the dosage astronauts get after living aboard the International Space Station for 6 months. Dave MosherA weathered metal sign for a fallout shelter bolted to a New York City apartment building. “I hope that people will come to understand what a nuclear weapon would do to places they are familiar with, and how the different sizes of nuclear weapons change the results,” he wrote on his site. The update to Nukemap comes as Wellerstein and others at the Stevens Institute of Technology work on an initiative called Reinventing Civil Defence. In the meantime, Nukemap’s latest iteration makes clear that every weapon’s yield, or explosive power, is limited – and so are its effects. So if you’re not at ground zero, are aware that an attack might be coming, and know what to do – and what to avoid, like getting into a car – you stand a chance at surviving (barring all-out nuclear war). That doesn’t mean we should get used to the idea of nuclear weapons or consider their use inevitable or normal. Quite the contrary: Such a trend would bring the world closer to catastrophic nuclear conflict, perhaps by accident.